All I can do, in this moment, is express my deepest gratitude for all who shared the weekend with Dana and me here at OdaBe. We had one of the most remarkable, magical sagey-spirity weekends imaginable. 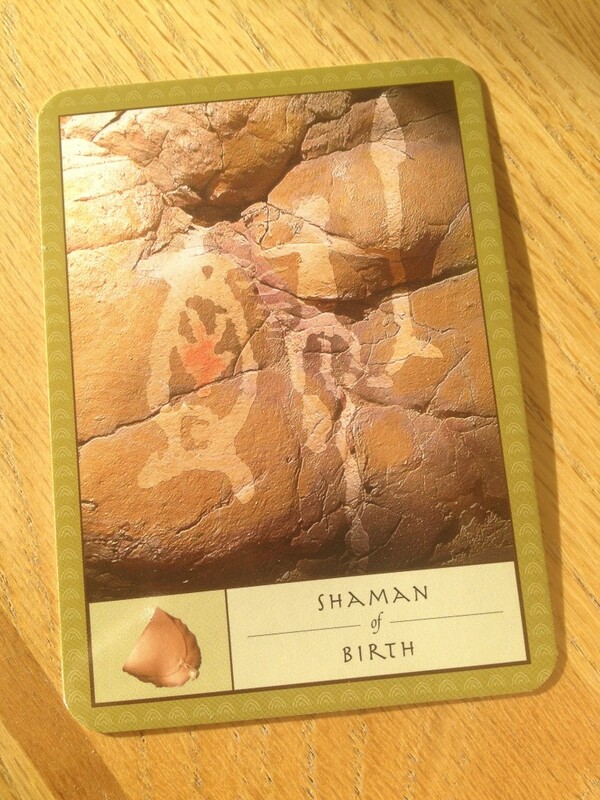 I drew this card as a symbol of my “destiny” as I began the weekend. Indeed, I feel sometimes like the midwife, sharing Reiki and other wisdom-teachings with others in community in a way that supports our individual and collective rebirths. Maybe that’s why one of my clients/students has named me her “Shamama.” Here’s how it went down. Ten students joined us for Reiki I on Saturday. Reiki guided me to add unique, extra healing blessings into each and every student’s attunement process. Through the years of teaching Reiki, I can feel the deepening of my channeling capacity and my expanded intuition grown in remarkable ways. We have workshops coming up for all levels of Reiki in the next few months, including a new Reiki Master Intensive Workshop, so check us out if you’re interested or contact me. On Sunday we shared Sacred Reiki Healing Circle with twenty sage spirits who blessed All-That-Is with powerful healing energies during our distance Reiki and prayer circle. Along with prayers for family and friends, the earth and the waters of the earth, the animals and sea life, we also prayed for rain and snow to lift this powerful drought from our area. As I write this the following day, we’ve had several hours of off-an-on rain here at OdaBe, and lots of it! My belle soeur des étoiles (beautiful sister of the stars), Laura Plato of Courageous BE took us into a brief introduction and journey to explore the Akashic Records. Visiting this “primordial goo” that precedes all creation empowers us for the rest of our BEingness. The Akasha is a powerful source for energy, healing and wisdom-gathering. After our potluck of the tastiest foods, we also shared a shamanic fire ceremony to empower our dreams and visions while letting go of anything no longer serving the empowerment of our higher selves. Oh my gosh! The energies of our chanting, drums, rattles, and open, loving hearts just took me drifting into the cosmos! And then the coyotes serenaded us as they often do following the fires. I pretty much am still floating around the cosmos, if you can’t tell. Before the weekend began, I could feel these surreal and magickal energies build and expand – as I printed handouts, cleaned and cooked, singing to Krishna Das with Reiki On! The magick continued to expand all through the weekend with so many synchronicities and wisdom-sharing. Due to confidentiality I can’t say much more, but suffice to say… you can’t make this stuff up! You know how I value community. Reiki at OdaBe has created a portal to what feels to me to be life-changing healing energies, not just for those who come, but emanating out into the world. We have hosted over 60 Reiki-related workshops and events and they just keep getting better and better. Facilitating these events gives me a unique glimpse into the evolution we are embracing – conscious of it or not – as I witness the amazing gifts we all have to offer blossom bigger and bigger. I celebrate all who choose to embrace their own healing journeys – and I mean “healing” in the broadest sense of becoming “whole” – for their healing contributes to the healing and raised vibrations of All-That-Is. I know many of you are thinking of embracing and expressing your inner spiritual entrepreneur, or struggle a bit with making your new businesses work. Been there, done that myself. I encourage you to follow your dreams, to show up authentically, to believe in yourself, and to connect with those who support your truest expressions in all ways, always. You can DO this thing. Being wrapped in a community of supportive love makes all creation easier and more joyful. Oh my gosh… I would pinch myself if I didn’t know it was okay to let this much abundance of love and joy BE for me. This entry was posted in Abundance Consciousness, Community, Conscious Evolution, Healing, Spiritual Entrepreneurs, Spirituality and tagged Akashic Library, Akashic Records, community, Courageous Be, Laura Plato, Reiki, shamanic practices. Bookmark the permalink. 4 Responses to Pinch Me! Denise, your workshops are always such a beautiful and magical experience. See, when you send out positive energy, you get it back in abundance. You, so generously, not only send out positive energy; but you teach others to do the same. Although I had learned it on an intellectual level some years ago, my father was the one to show me it’s benefits. I had marveled at my father’s great improvement in health. In his mid 60s and 70s he was happier and looked healthier had more energy than when he’d been in his late 50s. Besides taking on a better diet and walking, he’d begun sending blessings and love to people everywhere when he was out in public. This, he said, was his secret to his inner peace and happiness. Our source of energy is limitless, you know this. And by sending loving energy to others, one finds true peace and joy. Thank you for making it you life work to show others how to bring this into their worlds. Little by little you are making our planet more beautiful.